This dish is made using both ways, in oven and on stovetop. I have always liked the charred version of this dish. 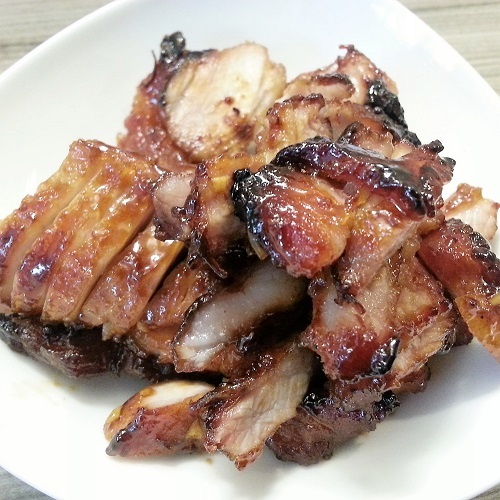 After making this dish, I always looked for charred char siew whenever I go out for food. 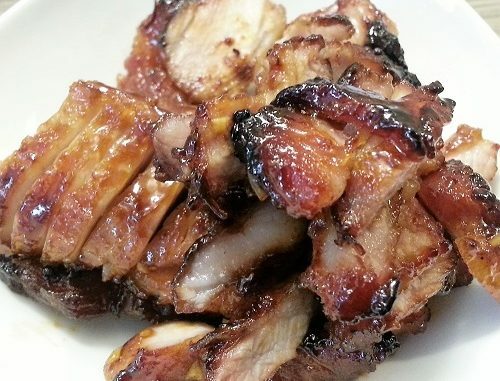 Char siu is a popular way to flavor and prepare barbecued pork in Cantonese cuisine. It is classified as a type of siu mei, Cantonese roasted meat. Try the Stovetop Grilled Char Siew. See recipe here. Melt the maltose, either in a microwave oven or placed in hot water. Cut the pork into long pieces. Place the pork in a large bowl and add all sauces and condiments into the bowl. 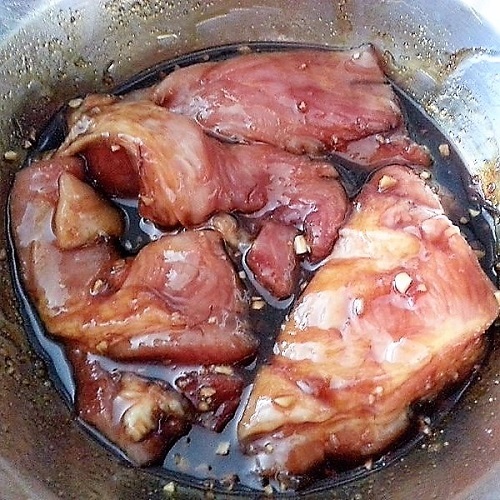 Massage the marinade into the meat, ensuring that the marinade is well mixed. Allow the marinade to work in the fridge for 4 hours or more. The longer you marinade the better. Line a baking tray with aluminium foil. Place the pork on a metal rack. Lightly pour some of the marinade to coat the pork. Keep the remaining marinade. Roast for 20 minutes at 180°C. Remove to coat the marinade fast and then turn the meat. Make it fast so the oven temperature does not get affected much. Roast for another 20 minutes, coating once or twice. You may roast further to achieve the charred effect that you want but do take note that it may get drier as you roast. When done, drizzle with remaining sauce and serve.